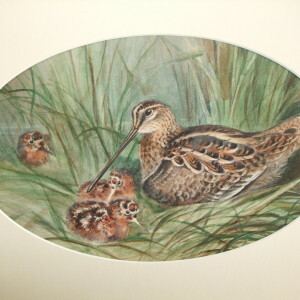 Roland Green was born in Rainham, Kent in April 1890, son of a taxidermist who was a keen naturalist and wildfowler so it was only natural that young Roland would grow up with an extensive knowledge of anatomy and plumage of birds. He was still a schoolboy when he developed a gift for drawing and painting wildlife and later studied at Rochester School of Art and at the Regent Street Polytechnic, finding work at the Natural History Museum. He often said he became a professional painter as he could settle for nothing else. In WWI Roland Green joined the London Rifle Brigade later transferring to the Royal Engineers and his draughtsmanship skills were used to provide maps for the Royal Flying corps. After the war his artistic talent was recognized by Lord Desborough who owned the then Hickling Estate and through his patronage Roland Green received commissions and moved to Hickling firstly living on a houseboat using a drainage mill as a studio. The demand for his work increased and he was able to build a bungalow and studio in the idyllic location on the edge of the Broad, where Roland Green lived for the rest of his life. Over the years many successful one man exhibitions followed in London as well as in Norwich. 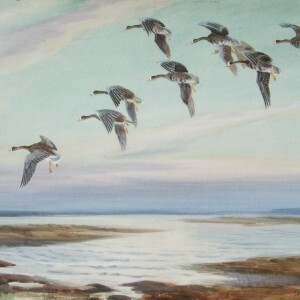 Roland Green also illustrated numerous books and magazines including the five volume classic “Hand book of British Birds” and the now highly collectable series of cigarette cards. Roland Green’s WW2 contribution is highly recognised as he gave moral boosting talks accompanied by quick sketches to the armed forces in Norfolk including lectures to the USA Bomber Groups. 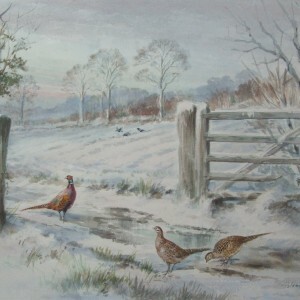 This resulted in the early 1950’s in selling more of his watercolours to American Visitors than to British collectors. 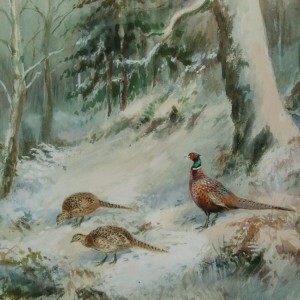 The final exhibition of Roland Green paintings was held in Norwich in 1966 where his paintings readily found purchases. Roland Green Died on December 18th 1972 age 82.